Congratulations! You’ve followed the step outlined in Part One, and now you’re Under Contract to purchase a bank-owned property in Eagle County! Purchasing a bank-owned property is not so different from purchasing a home from an individual homeowner, but there are some things to keep in mind. Watch Your Deadlines – Carefully adhering to your deadlines is an important part of any real estate deal, but with most transactions getting both parties to sign off on a reasonable extension is a straightforward process. That process can be much more difficult – or at least time consuming - with bank owned properties. Do your best to meet your obligations on time. If you must extend a deadline, provide as much notice as possible. The process usually involves a chain of contacts – listing agent to asset manager, asset manager to bank, bank to asset manager, asset manager to listing agent, for example – that might be operating at different levels of priority in differing time zones. Try to re-work deadlines to keep the closing date on time, if possible. Time is money for the bank, and the closing deadline is a high priority. Inspect the Property – Bank owned properties are often sold “as is,” but you may still have an inspection period. If you find something worth walking away over, give the listing agent a detailed account of the situation. The bank may offer a resolution even if the home is being sold as is, particularly if what you have discovered is something that could potentially kill the deal with the nextreasonable buyer. Remember: bank-owned properties have will have been unoccupied for anywhere from weeks to years, and the previous homeowner is not available to fill out the usual disclosures. This makes it extra important to have the home checked out by a trusted home inspector. Your Agent is There to Help – If there is anything you don’t understand along the way, ask your agent for an explanation. It is in your agent’s best interests to have you as an informed client, and a good agent will explain what he or she can right away and track down answers that aren’t available immediately. This is just as true of buying a bank owned property as it is for any real estate transactions. The only difference being you may have to wait a little longer for an answer from the bank, so be sure to step forward with any questions as soon as they arise. The number of bank owned properties for sale in Eagle County has fallen off significantly as the economy has improved in recent years. However, by keeping an eye on the market you can be ready when the next great deal appears. 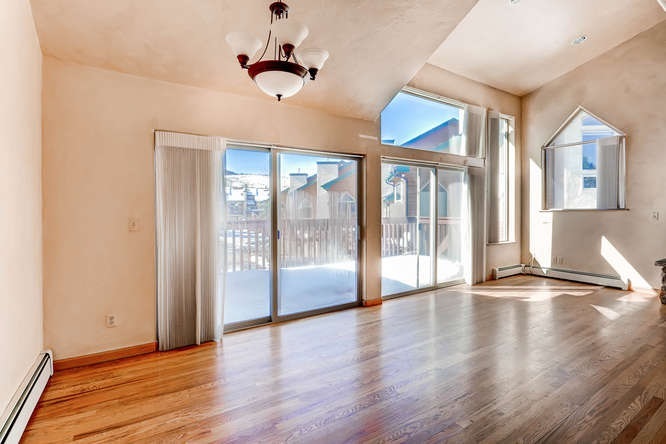 Contact the Rocky Mountain Home Team for more information on bank owned homes in the Vail Valley.